A Whim-gin. 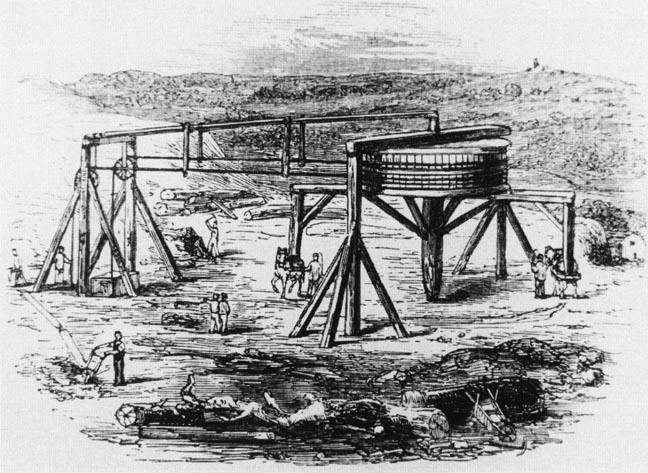 Man-powered jack-rolls or windlasses were the earliest winding gear over the shafts. Later, horse-driven whim-gins were copied from the coalfields. The horse was yoked to a horizontal drum around which the rope was wound with both ends hanging down the shaft. As the horse trod round and round, one end of the rope was lowered, the other end raised.